I just seeded a new version of VisualStrap with much more components and added a bit of optimisation to existing css. 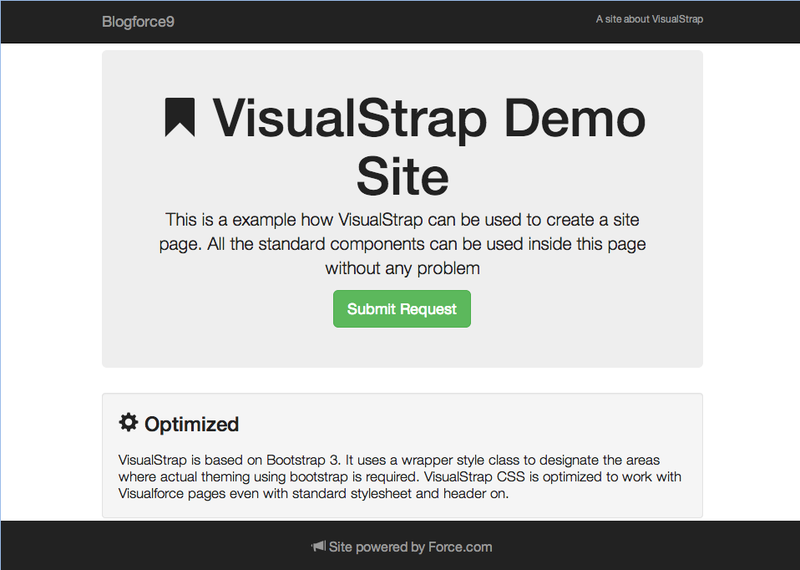 This blog is more about how you can create your Force.com site page very easily using VisualStrap. Lets take an example of a site of a Product/Company and talks about its features/offering. The site will be a very simple one, one main block which has the company/product banner and some other small blocks that talks about the features. To use the above code you need to install the latest version of VisualStrap from the below link. If you are using the source files from Github to install the components replace the "vs:" in the above code with "c:". So to confirm, does this work with a managed package? I'm building a managed package and wanted to use visualstrap possibly? Yeah you can always use the unmanaged version of the Visualstrap inside your managed package. It will work! Hi Ravi you add a onclick handler for the commandbutton that you are using to open the popup ? 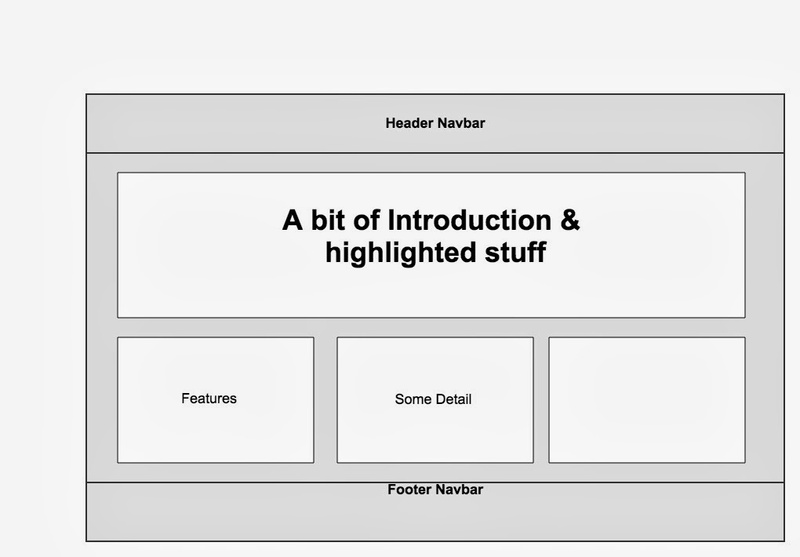 something like onclick="return false;"
Is there any specific documentation which explains about all the CSS Style Classs of this VisualStrap? Hi!!! I am able to install manage package in sandbox ,but I am not able to install unmanaged package in sandbox?is there any way to install it in sandbox? Hi Avinava - Do you have some thoughts on how to render modals dynamically? I would like to use some modals as warning or information messages based on user input. Any advice you could provide would be greatly appreciated!! I very much like Visualstrap!